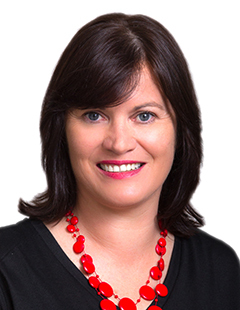 A varied career covering finance, assistant management of a high end boutique Auckland retirement village and in the media as a television presenter, reporter and director has equipped Kelly well for the wide range of skills required in a property manager. Tauranga born and bred, Kelly is a people person who enjoys meeting landlords and derives huge satisfaction from matching tenants with houses and "seeing them happy to start a new chapter in their lives". - Daily vigilance over rent payments to ensure her landlords are paid on time, every time, so they can meet their expenses. "I also believe it is a disservice to tenants to let them get into arrears as it is so hard to catch up." - Acute awareness of responsibility to landlords. "I make sure that tenants are fully aware of the standards required to rent through EVES." Kelly has never had to go to the Tenancy Tribunal for any tenant she has placed in a property. - Communication with integrity. "I am a no nonsense operator and clients can have faith in me because I'm a 'straight shooter'. I communicate regularly with my landlords and any issues are promptly dealt with." - A sense of humour! "You meet all types and are faced with all sorts of unexpected situations in this role. Anything is easier to solve with a little levity!" Kelly chose to work for EVES because she has full confidence in the brand, and its professionalism as a property management company. "It is to the landlords' advantage that most tenants come to us because we have the widest range of rental properties." Kelly manages Tauranga properties generating rental income from $250 to $950 per week. "My background has equipped me to relate well to the broad spectrum of people I work with in property management." I wanted to give you some feedback on Kelly. I think she’s amazing. I bought a rental in Matua in 2015/16 through Eves. I was referred to Kelly and haven’t looked back since. She’s super competent and I think her biggest skills include being a great communicator and reading people (being present). She’s a pleasure to work with; and I think she’s an exceptionally talented and driven employee that takes pride in her work and genuinely enjoys helping people. Thank you. Thank you so much for the amazing job you have done on this! When I needed to find a tenant for 210C in September I used the incumbent property managers (as the existing tenants moved out shortly before settlement date I thought that would be the simplest option). They took weeks to find me a tenant, even after dropping the price from the anticipated rental, and were poor on communication throughout the process. In contrast, I have found your service incredible. You found me good tenants at lightning speed, at a price above what I thought could be reasonably achieved, and have maintained excellent communications throughout. Thank you so much for such an excellent job, I will be using only your services in the future! Kelly managed a high end $800 a week property for me which has just sold. Her communication and professionalism were exemplary. Important maintenance was required before the property was ready for sale, whilst the tenant was still residing and Kelly handled it easily and efficiently. Five stars, highly recommended.